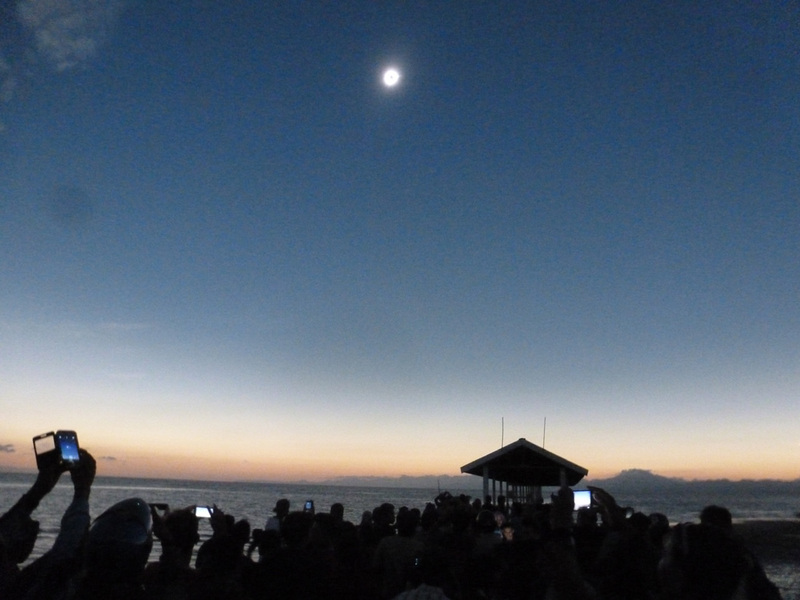 The Corona appeared to gasps from the people on the pier who had huddled together with the approaching darkness. It was a delicate white colour tinged with electric blue and a large slice of red on the left. The trip was just over three weeks long. We spent three days in Brunei seeing some mosques, museums, a water village, tombs of suiltans and proboscis monkeys. 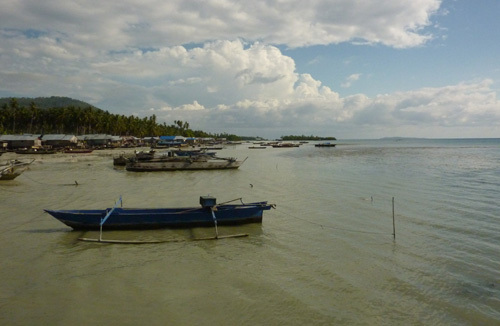 The rest of the time was spent on the Indonesian island of Sulawesi. In the Makassar region we saw a Dutch fort, a harbour with Bugis ships, a wooden palace, a waterfall visited by English naturalist, Alfred Wallace. 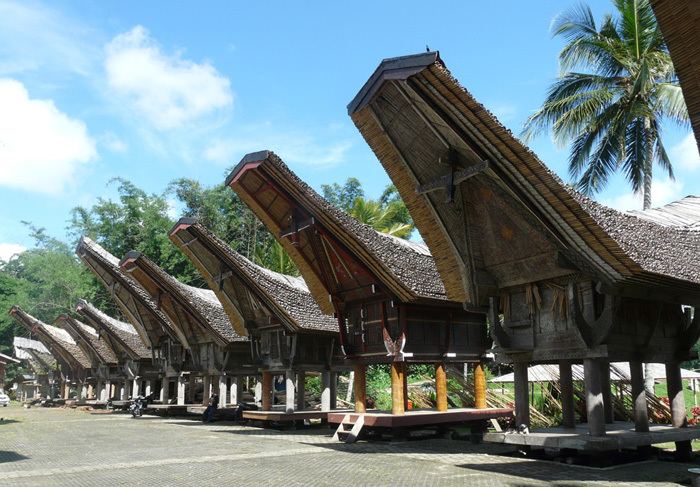 In Tana Toraja we saw the distinctive saddle shaped houses, graves hanging from cliffs, tau tau (death effigies) and weavers. We also visited Lake Poso at Tentena and the coastal region of Ampana. Our eclipse base was the small town of Ampana. 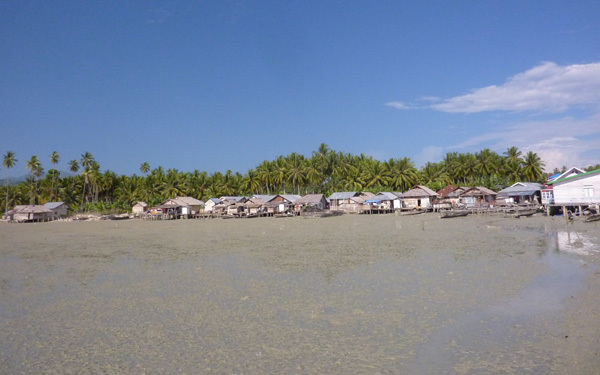 The eclipse site was Tete B, a pretty fishing village backed by palm trees. We saw the eclipse from a fishing pier, about 100m long and partially covered. 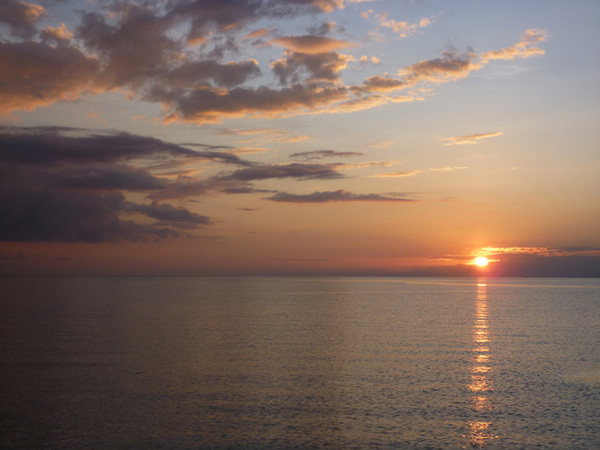 At this location, the Sun would be over the Sea. It was very picturesque. Eclipse day dawned with clear skies. Four planets were visible: Jupiter in the West and Venus rising in the East were prominent. Overhead among the stars of the Scorpion were Mars and Saturn. We had hired a pickup van to take us to the eclipse site. Our small group consisted of Talaat and Kryss, David (also from the UK), a couple from the Netherlands and Belgium (Pieter and Rita), Sandro, who we had met in Tana Toraja (from Italy) and Alexandra (from France but half Greek). We traveled the 6km to our observation site. We shared it with the villagers and a few people from Ampana. It was a lovely setting and the sky was clear as the Sun rose over the sea at 6:00. 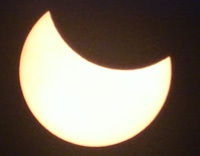 People were interested more in us than in the eclipse - at least until the partial phases began (at 7:29) and the first bite could be seen at the top of the Sun. This caused great excitement especially as more and more of the Sun disappeared. Eventually the Sun resembled a boat. We had clouds for about fifteen minutes during the partial phases. Some people thought about moving location. Kryss decided the clouds would dissipate. They did, and we had no more weather issues. Around 8:20 we noticed the light beginning to change, becoming more golden. The rising temperature of the morning stopped rising. The sky began turning darker and bluer. The sea took on a green tinge. The last ten minutes were spectacular and we had a great view of it. The light was dropping all the time and everyone had now lost interested in us and was looking around, quietly. People began huddling together. Some children ran home. The final golden light of the Sun disappeared and the clouds turned from white to grey. Totality began (at 8:40:04) with a beautiful diamond ring in the 7 o'clock position. It was as dark as twilight. The Corona appeared to gasps from the people on the pier who had huddled together with the approaching darkness. It was a delicate white colour tinged with electric blue and a large slice of red (a prominence) on the left. The red of sunset was all around. Venus was visible above the Sun. We could also see the fainter Mercury, so all five naked eye planets had been seen on eclipse day. 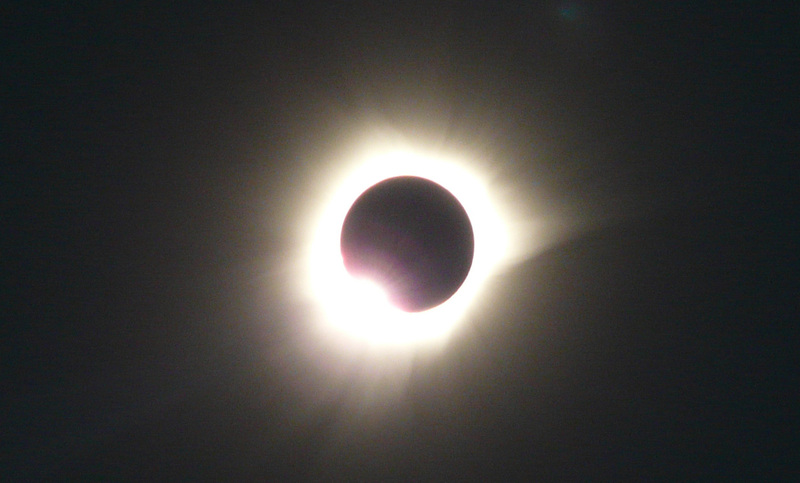 All the planning, all the weather monitoring, all the checking, all the travel was for these few precious minutes of totality. And all too soon it ended. Totality at the village was 2m 54s. A brilliant diamond ring appeared at the top of the eclipsed Sun and the landscape lit up. Totality was over. The tide had gone out revealing hundreds of fiddler crabs on the mud. Our small group was happy with the location and the ambiance at the eclipse site. 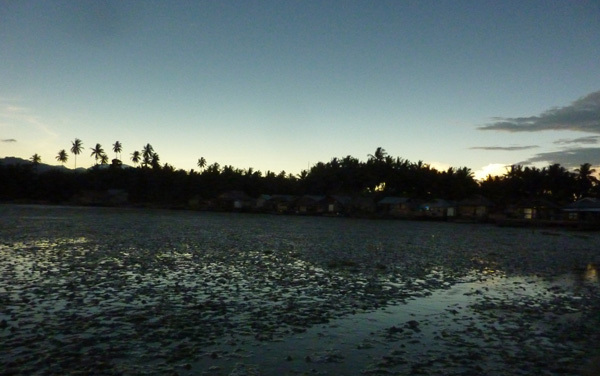 We walked around the village after the eclipse before making our way back to our guest house in Ampana. The rest of the day was spent looking at photos, relaxing, eating and talking about the eclipse. Already plans were being laid for the next one. 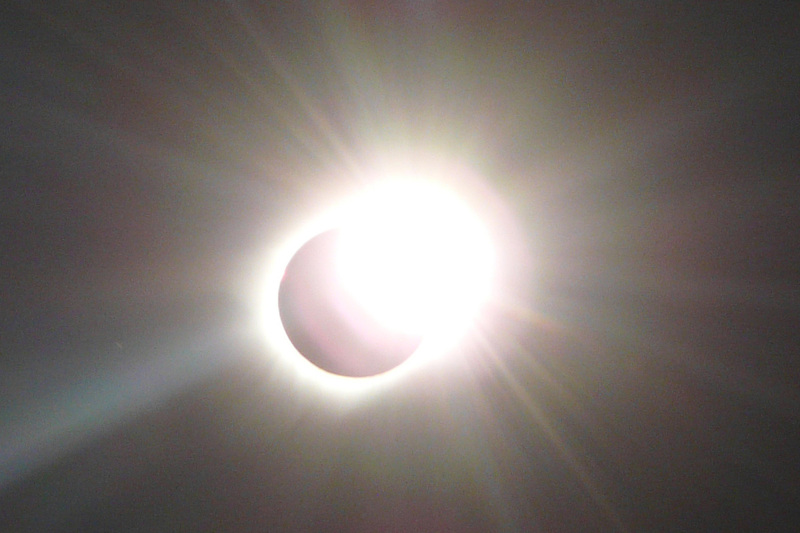 The Diamond Ring at the beginning of Totality. 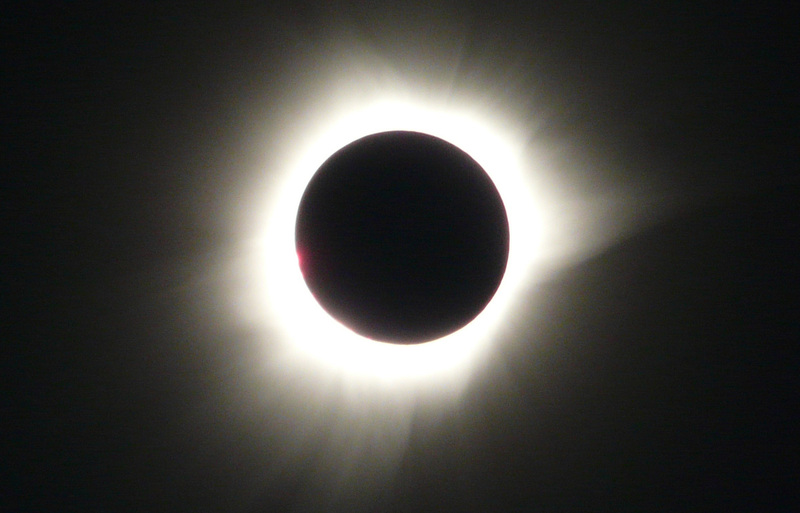 Totality - A large prominence. Tete B three minutes before Totality and during Totality. View Northwards five minutes before Totality and during Totality. Partial phases at 07:38, 08:00, 08:14, 08:24, 08:32, 08:39, 08:40. Totality at 08:41. 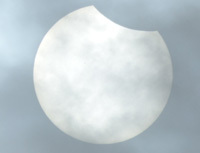 Partial at 08:43. The Moon's shadow passing over Tete B (Ampana). Next one, United States of America in 2017. After the eclipse we began our journey back to London. 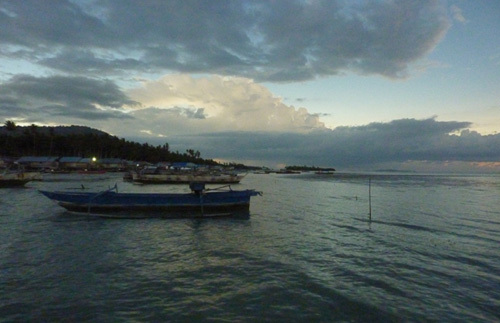 A minibus took us along the coast and over the mountains to Palu. This had been the scene of an eclipse festival and we met many people who had attended. Among them was Aya who had been at the 2009 eclipse in China with us. We then flew to Jakarta (in Java) via Makassar. The flight to London was via Brunei and Dubhai. Written account and all text descriptions. (© 2016). All programming, video and photo editing. 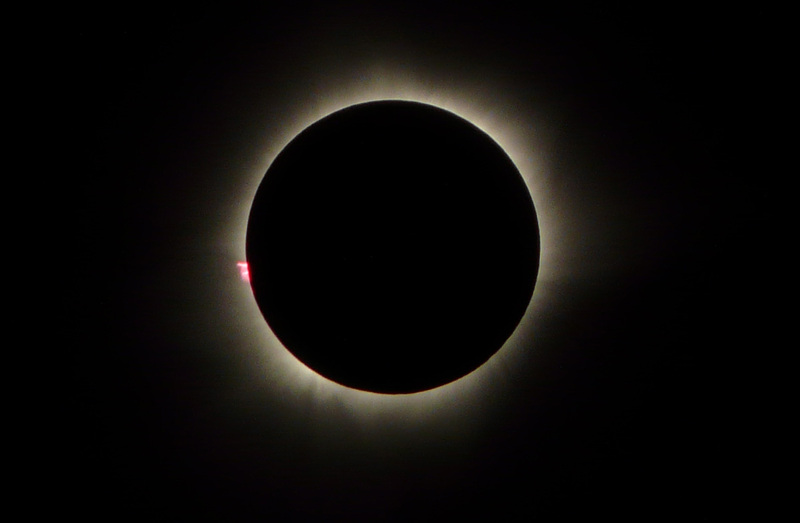 Diamond rings, Totality (corona and prominence), Tete B before and during totality, view Northwards before and during totality. Video of the approach of the Moon's shadow. 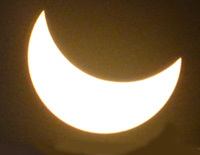 Scene showing panorama during totality. Partial phase in cloud at 07:38. Partial phases (at 08:00, 08:14, 08:24, 08:32, 08:39, 08:40, 08:43) and totality at 08:41 in "The Partial Phases" sequence. Help with eclipse observation site, arranging transport and accommodation. Friendly owner, Jemi Lasahido. Driver to and from eclipse site. The 2016 eclipse main page. Maps of the path of the 2016 eclipse from Fred Espenak and eclipse details at the observation site. People from the 2016 eclipse. General photos from the 2016 eclipse. Photos from Tete B, the village of the 2016 eclipse. External accounts and photos of the eclipse.